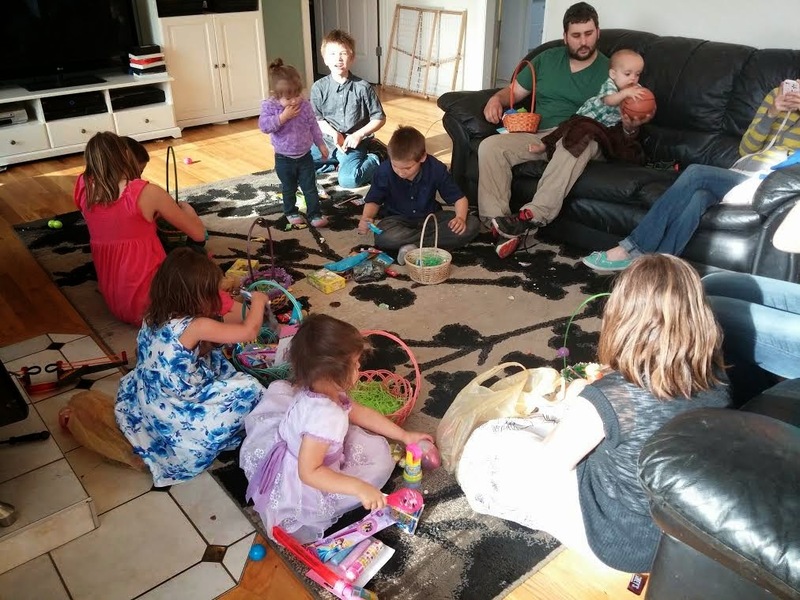 This weekend went past in a blur of activity, from eye doctor appointments, worship practice for church and Easter Sunday craziness! I feel like I need a weekend to recover from the weekend. Even though it felt like it was over before I blinked, I had the best of times! 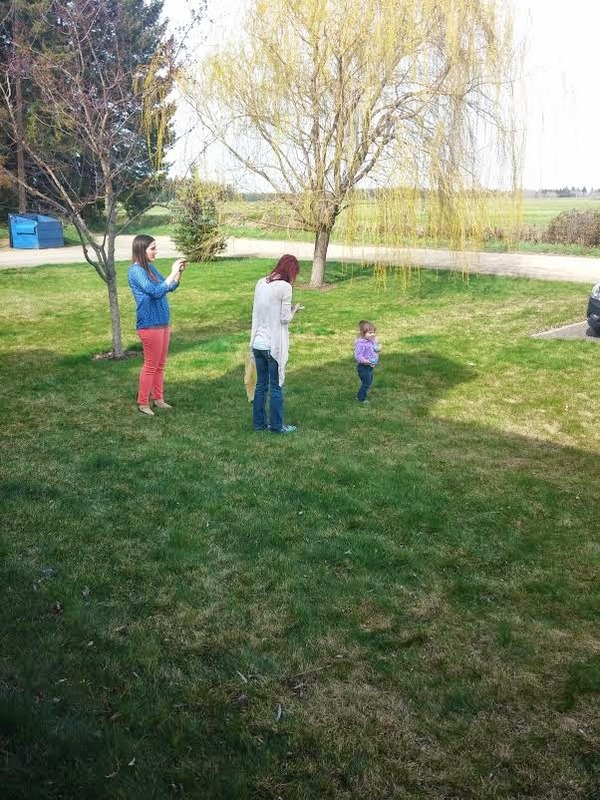 So today you get a little glimpse into the fun I had with mine and my husbands family. 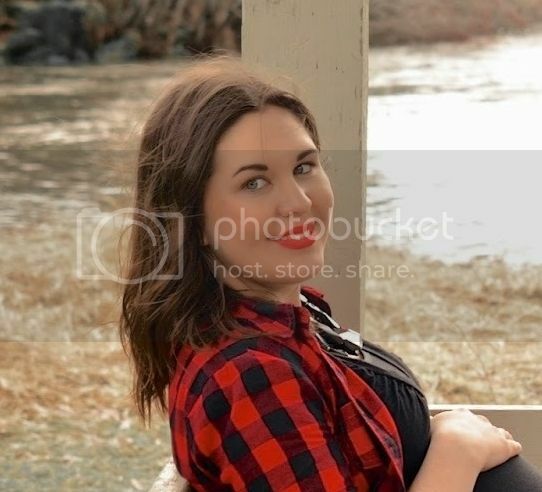 And tomorrow I will do an outfit post featuring what I wore for Easter Sunday. 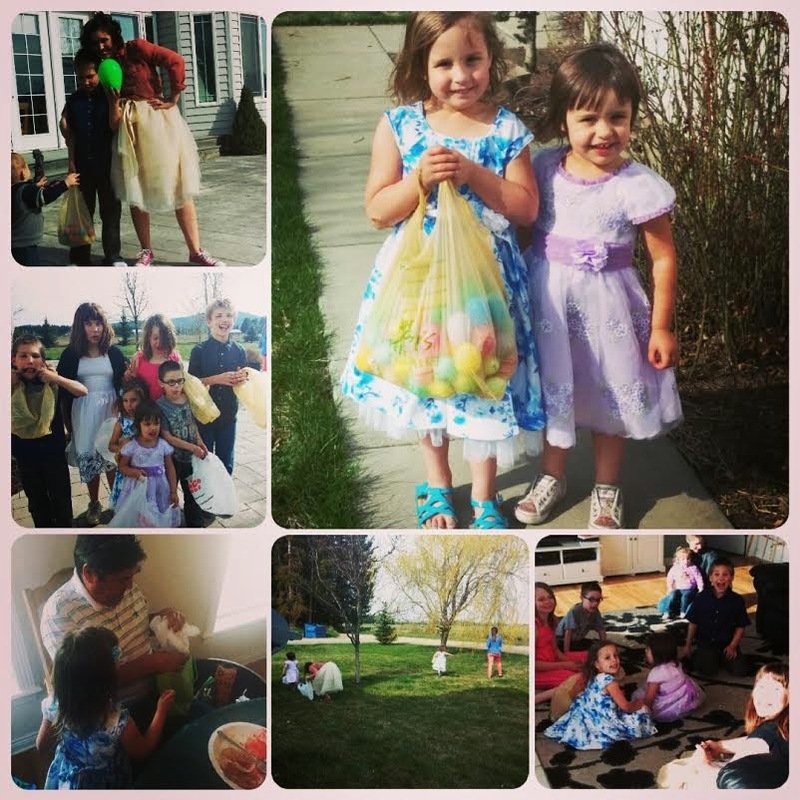 Nieces, brothers, sisters, egg hunting and my dad opening a belated birthday gift from my niece. 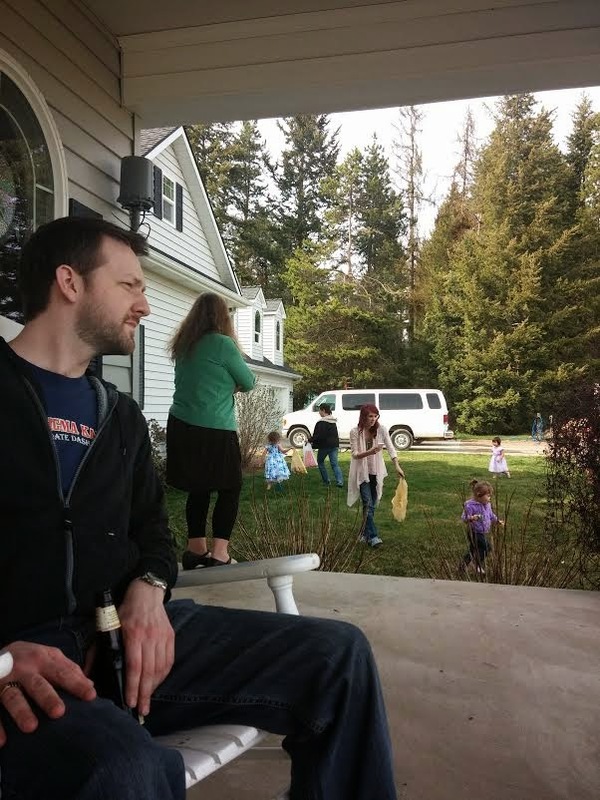 My sister's boyfriend looking very intense(Haha) while the kiddos hunt eggs in the back. 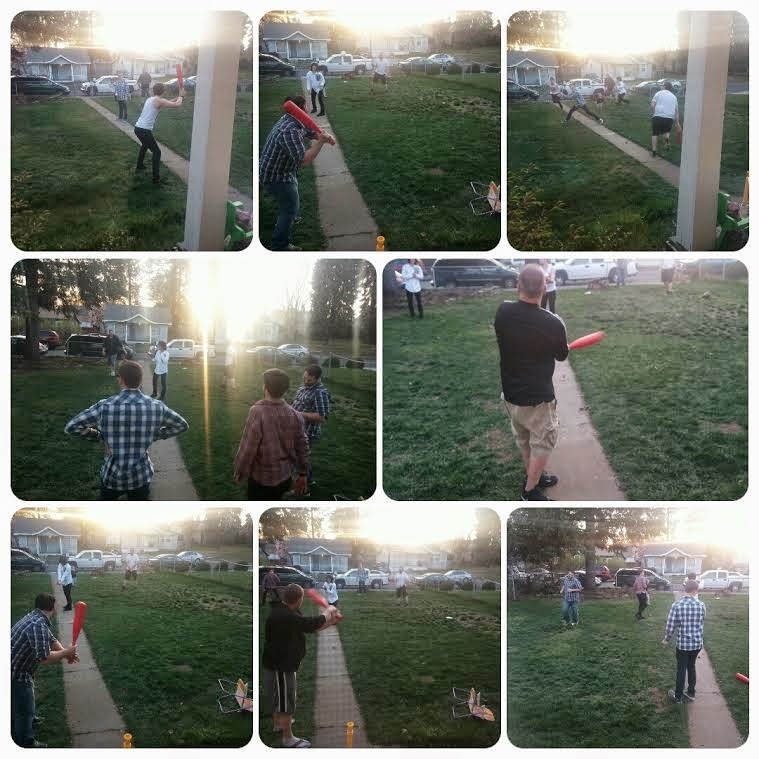 My husband, brother in law, father in law, and some their friends playing baseball with a toddlers plastic bat and ball. Crazy boys! 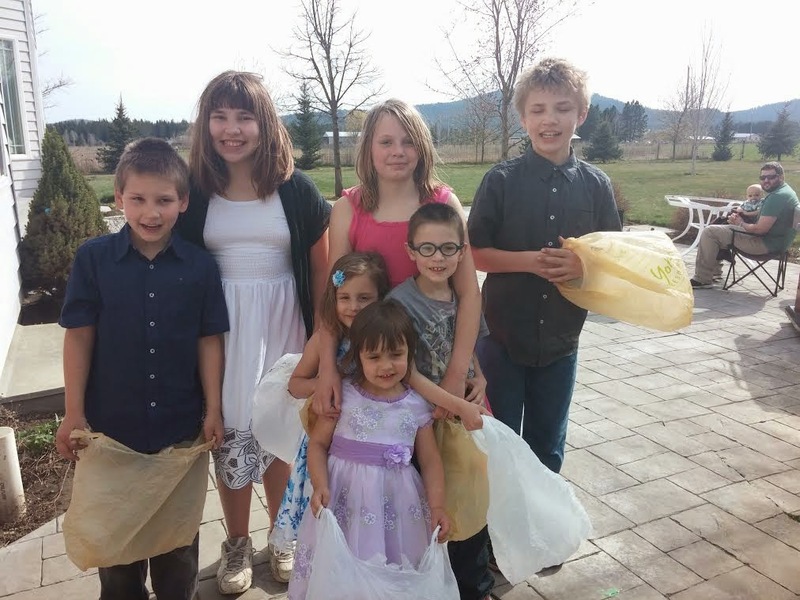 Some of the siblings, nieces and nephews right before the egg hunt began. They were just a little bit excited! 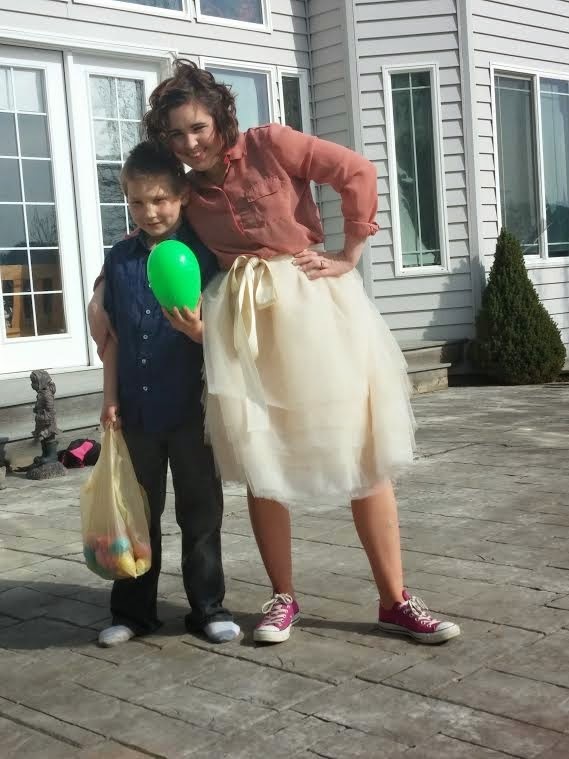 My littlest brother found a HUGE egg! Had to get a picture with him because he was so, so excited! And yes there is a story behind the cons with that outfit. That's coming tomorrow! 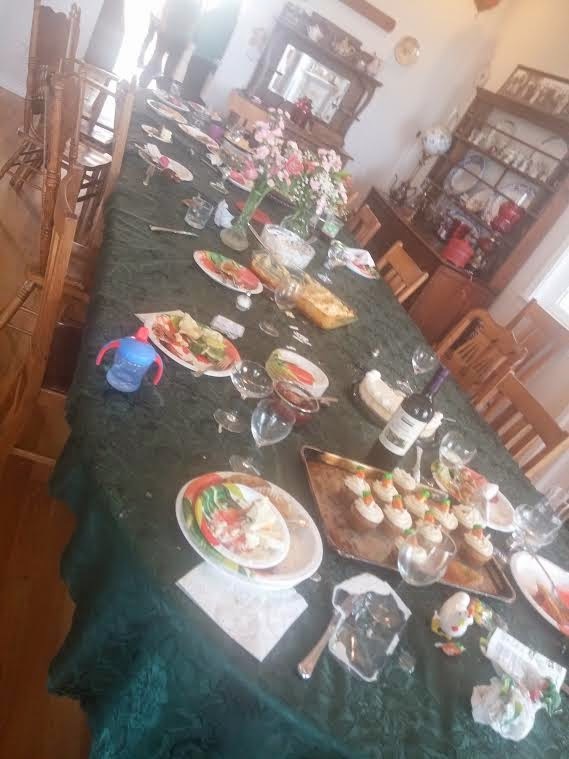 Easter Dinner! 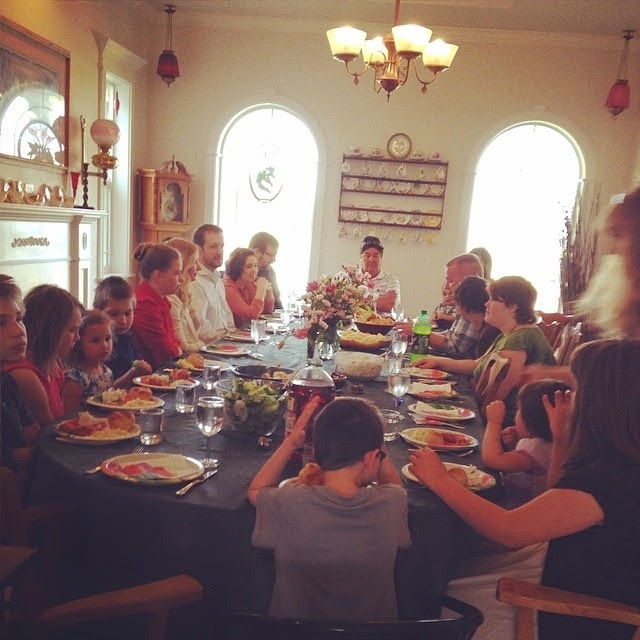 And that is not even close to half of my family! 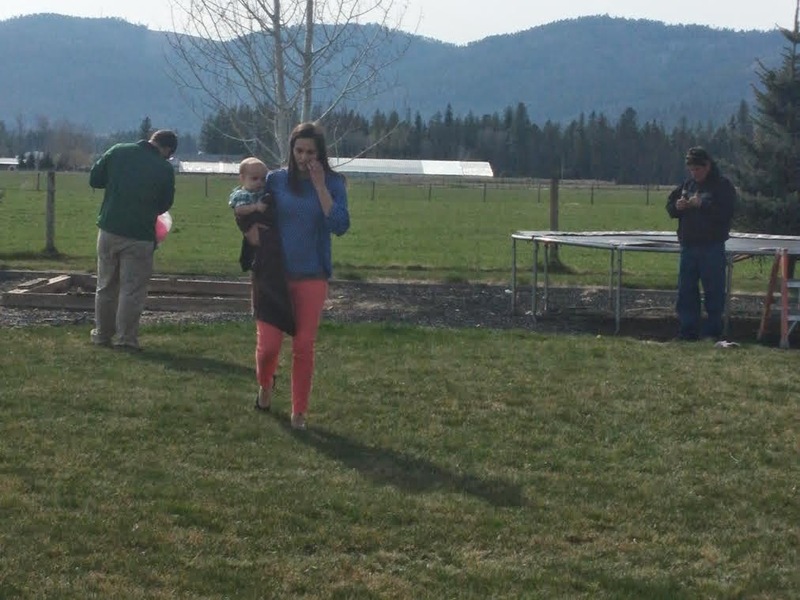 And finally the kiddos getting their Easter baskets. Don't you just love spending time with family? I do! Hope you all had a fantastic Easter and a great Monday!